As you might know I spent last weekend in Sydney! My next post will be all about the trip but firstly I wanted to post about my tattoo. I was going to meet my friend Monia on Saturday but we didn't know what to do so she asked me about getting tattoos and I promptly responded with an enthusiastic "heck yeah!" Honestly we both weren't sure if it would end up happening but after we got them done we both said how it was one of the rare times we've followed through on doing something so unplanned! 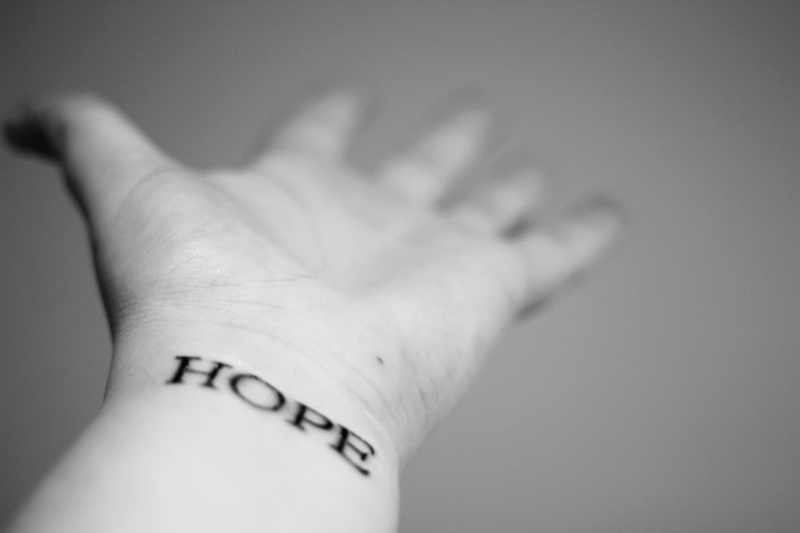 I decided to get the word hope as it kind of sums up the way I live my life. 'A feeling of expectation and desire for a particular thing to happen.' For some reason I'm one of those people that thinks if I want something enough it'll happen but lately I'm starting to realise I have to take steps to make it happen and that hope alone isn't enough. When I look down at this tattoo it reminds me to do; to take action to make my hopes and dreams a reality. It's funny, I actually had an image of "HOPE" in the font I wanted and everything on my phone just in case I ever decided to get a tattoo of it so it's just ironic that it happened in my favourite place in the world. The tattoo is in that gross scab-like phase at the moment and I'm starting to see the places where I might need to get it touched up - like the horizontal lines on the H and E don't fully connect to the left line but I'll have to see how it looks when it's fully healed. A great thing about this tattoo in comparison to my other one is that it's more noticeable and people don't ask what it means because it's quite obvious! With my triangle tattoo everyone still asks what it means and it drives me a little nuts! Oh I love love this! I definitely will be getting a tattoo someday, I just want to make sure that I'm 100% sure of what I want first! I think a really short quote or a simple picture is what I would want :. Did it hurt getting it done on your wrist?